The Fair Lawn community is invited for a spiritually uplifting evening of singing as we host a pre-selicot kumzitz as we approach Rosh HaShanah and Yom Kippur. Featuring music by Laizer Albert, Jon Lamm, & Baruch Harris! 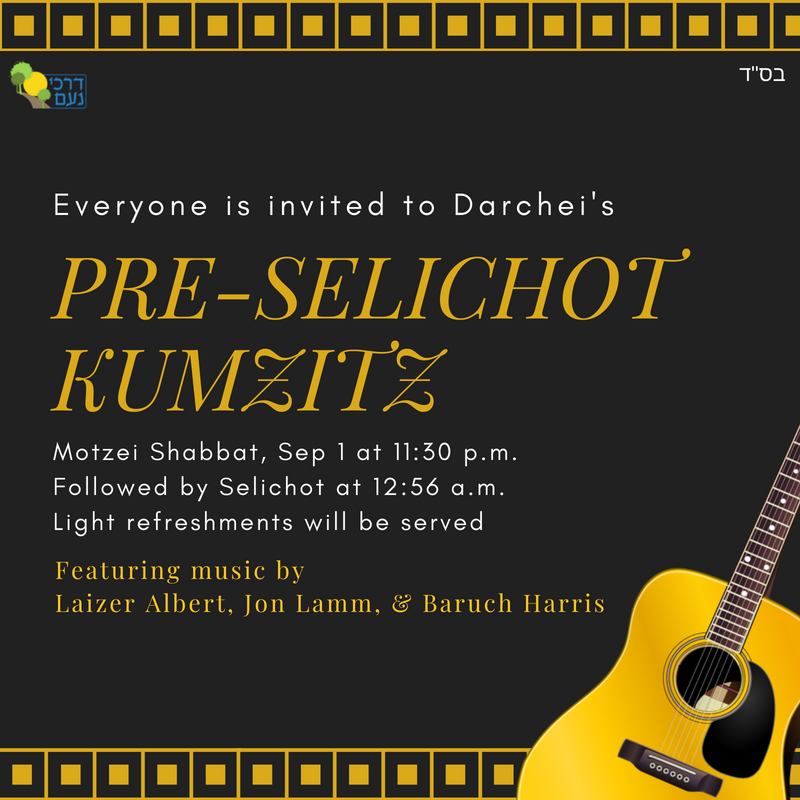 Motzei Shabbat, Sep 1 at 11:30 p.m. in Darchei Noam's Social Hall followed by Selichot at 12:56 a.m.